Area: 338,144 sq. km. (130,558 sq. miles); about the size of New England, New Jersey, and New York combined. Cities: Capital (December 2009): Helsinki (pop. 583,350). Other cities — Espoo (244,330), Tampere (211,507), Vantaa (197,636), Turku (176,087). Terrain: Low but hilly, more than 70% forested; 188,000 lakes and 179,584 islands, 98,050 of which are in the lakes. Nationality: Noun — Finn(s). Adjective — Finnish. 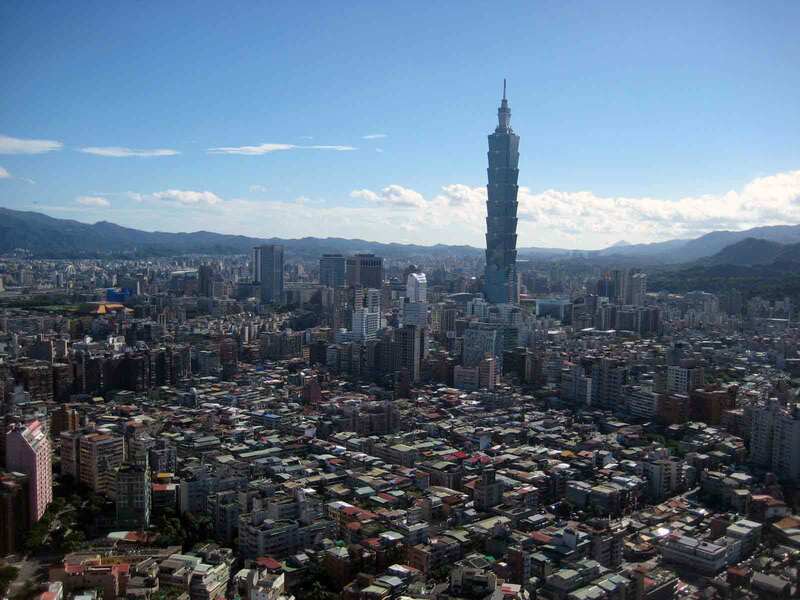 Population growth rate (2011): 0.075%. Ethnic groups: Finns, Swedes, Lapps, Sami, Roma, Tatars. Religions: Lutheran 82.5%, Orthodox 1.1%, Christian 1.1%, other 0.1%, none 15.1%. Languages: Finnish 91.51%, Swedish 5.5% (both official); small Lapp-speaking (0.03%) and Russian-speaking (0.97%) minorities. Education: Years compulsory: 9. Attendance — almost 100%. Literacy — almost 100%. Health: Infant mortality rate (2011): 3.43/1,000. Life expectancy — males 75.79 yrs., females 82.89 yrs. Work force (2.68 million; of which 2.46 million are employed): Public services: 32%; industry — 19%; commerce — 15.9%; finance, insurance, and business services — 14.5%; agriculture and forestry — 4.5%; transport and communications — 6.8%; construction — 7.2%. Constitution: July 17, 1919; March 2000. Branches: Executive: president (chief of state), prime minister (head of government), Council of State (cabinet). Legislative — unicameral parliament. Judicial — Supreme Court, regional appellate courts, local courts. Subdivisions: Six regional state administrative agencies, plus Aland. Political parties represented in parliament: Social Democratic Party, Center Party, National Coalition (Conservative) Party, Left Alliance, Swedish People's Party, Green League, Christian Democrats, True Finns. Per capita income (2010): $35,400. Inflation rate: 0.0% (2009); 1.2% (2010). Natural resources: Forests, minerals (copper, zinc, iron), farmland. Agriculture, forestry, fishing and hunting (2.6% of GDP): Products — meat (pork and beef), grain (wheat, rye, barley, oats), dairy products, potatoes, rapeseed. Industry (32.4% of GDP): Types: metal (including electronics and electrical equipment) and engineering, forest products, chemicals, shipbuilding, foodstuffs, textiles. Services (2010): Approximately 64.9% of GDP. Trade: Exports: $69.4 billion. Major markets — EU 55%, Russia 9%, U.S. 7%, China 5.11%. Imports — $68.3 billion. Major suppliers — EU 55%, Russia 17.8%, China 7.3%, U.S. 3.4%. 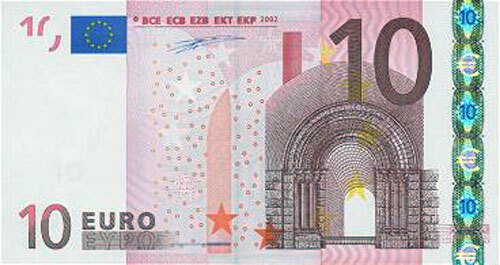 Exchange rate (2010): 1.3257 euros (EUR) = U.S. $0.7543. The origins of the Finnish people are still a matter of conjecture, although many scholars argue that their original home was in what is now west-central Siberia. The Finns arrived in their present territory thousands of years ago, pushing the indigenous Lapps into the more remote northern regions. Finnish and Lappish — the language of Finland's small Lapp minority — both are Finno-Ugric languages and are in the Uralic rather than the Indo-European family. Finland's nearly 700-year association with the Kingdom of Sweden began in 1154 with the introduction of Christianity by Sweden's King Eric. During the ensuing centuries, Finland played an important role in the political life of the Swedish-Finnish realm, and Finnish soldiers often predominated in Swedish armies. Finns also formed a significant proportion of the first "Swedish" settlers in 17th-century America. Following Finland's incorporation into Sweden in the 12th century, Swedish became the dominant language, although Finnish recovered its predominance after a 19th-century resurgence of Finnish nationalism. Publication in 1835 of the Finnish national epic, The Kalevala — a collection of traditional myths and legends — first stirred the nationalism that later led to Finland's independence from Russia. In 1809, Finland was conquered by the armies of Czar Alexander I and thereafter remained an autonomous grand duchy connected with the Russian Empire until the end of 1917. On December 6, 1917, shortly after the Bolshevik Revolution in Russia, Finland declared its independence. In 1918, the country experienced a brief but bitter civil war that colored domestic politics for many years. During World War II, Finland fought the Soviet Union twice — in the Winter War of 1939-40 and again in the Continuation War of 1941-44. This was followed by the Lapland War of 1944-45, when Finland fought against the Germans as they withdrew their forces from northern Finland. During the Continuation War (1941-1944) Finland was a co-belligerent with Germany. However, Finnish Jews were not persecuted. Of the approximately 500 Jewish refugees who arrived in Finland, eight were handed over to the Germans, for which Finland submitted an official apology in 2000. Also during the war, approximately 2,600 Soviet prisoners of war were exchanged for 2,100 Finnish prisoners of war from Germany. In 2003, the Simon Wiesenthal Center submitted an official request for a full-scale investigation by the Finnish authorities of the prisoner exchange. It was established there were about 70 Jews among the extradited prisoners. However, none was extradited as a result of ethnic background or religious belief. Treaties signed in 1947 and 1948 with the Soviet Union included obligations and restraints on Finland vis-a-vis the U.S.S.R. as well as territorial concessions by Finland; both have been abrogated by Finland since the 1991 dissolution of the Soviet Union (see Foreign Relations). Finland has a mixed presidential/parliamentary system with executive powers divided between the president, who has primary responsibility for national security and foreign affairs, and the prime minister, who has primary responsibility for all other areas, including European Union (EU) issues. Under the constitution that took effect in March 2000, the established practice for managing foreign policy is that the president keeps in close touch with the prime minister, the minister for foreign affairs, and other ministers responsible for foreign relations. Constitutional changes strengthened the prime minister — who must enjoy the confidence of the parliament (Eduskunta) — at the expense of the president. Finns enjoy individual and political freedoms, and suffrage is universal at 18. The country's population is relatively ethnically homogeneous. Immigration to Finland has significantly increased over the past decade, although the foreign-born population, only 2.9% of the total population (December 2009), is still much lower than in any other EU country. Few tensions exist between the Finnish-speaking majority and the Swedish-speaking minority. President and cabinet. Elected for a 6-year term, the president:Handles foreign policy, except for certain international agreements and decisions of peace or war, which must be submitted to parliament, and EU relations, which are handled by the prime minister;Is commander in chief of the armed forces and has wide decree and appointive powers;May initiate legislation, block legislation by pocket veto, and call extraordinary parliamentary sessions; andAppoints the prime minister and the rest of the cabinet (Council of State). The Council of State is made up of the prime minister and ministers for the various departments of the central government as well as an ex officio member, the Chancellor of Justice. Ministers are not obliged to be members of the Eduskunta and need not be formally identified with any political party.The president may, upon proposal of the prime minister and after having heard the parliamentary groups, order parliament to be dissolved, and a new election held. Parliament. Constitutionally, the 200-member, unicameral Eduskunta is the supreme authority in Finland. It may alter the constitution, bring about the resignation of the Council of State, and override presidential vetoes; its acts are not subject to judicial review. Legislation may be initiated by the president, the Council of State, or one of the Eduskunta members. The Eduskunta is elected on the basis of proportional representation. All persons 18 or older, except military personnel on active duty and a few high judicial officials, are eligible for election. The regular parliamentary term is 4 years; however, the president may dissolve the Eduskunta and order new elections at the request of the prime minister and after consulting the speaker of parliament. Judicial system. The judicial system is divided between courts with regular civil and criminal jurisdiction and special courts with responsibility for litigation between the public and the administrative organs of the state. Finnish law is codified. Although there is no writ of habeas corpus or bail, the maximum period of pretrial detention has been reduced to 4 days. The Finnish court system consists of local courts, regional appellate courts, a Supreme Court, and a Supreme Administrative Court. Administrative divisions. Since January 2010, Finland has been divided into six regional state administrative agencies — namely Etela-Suomi, Ita-Suomi, Lounais-Suomi, Lansi-ja Sisa-Suomi, Pohjois-Suomi, and Lappi — plus Aland, replacing the previous division of six provinces. Finland has 20 regions; the regions are divided into 72 sub-regions, and the sub-regions are divided into 342 municipalities. Fifteen Centers for Economic Development, Transport and the Environment (ELY Centers) form part of the government's reform project for regional administration. The tasks and services of the former employment and economic centers, regional environmental centers, road districts, and state provincial offices' departments for transport and communications and for education and culture have been pooled in the ELY Centers. They manage the regional implementation and development tasks of the state administration, and are tasked with promoting regional competitiveness, well-being, and sustainable development, as well as curbing climate change. The island province of Aland is located near the 60th parallel between Sweden and Finland. It enjoys local autonomy and demilitarized status by virtue of an international convention of 1921, implemented most recently by the Act on Aland Self-Government of 1951. The islands are further distinguished by the fact that they are entirely Swedish-speaking. Government is vested in the provincial council, which consists of 30 delegates elected directly by Aland's citizens. Military. Finland's defense forces consist of 13,000 active duty personnel (9,000 army; 2,000 navy; and 2,000 air force). The country's defense budget equals about 1.3% of GDP. There is universal male conscription under which all men serve from 6 to 12 months. As of 1995, women were permitted to serve as volunteers. A reserve force ensures that Finland can field 350,000 trained military personnel in case of need. Political parties. Finland's proportional representation system encourages a multitude of political parties and has resulted in many coalition governments. Political activity by communists was legalized in 1944, and although four major parties have dominated the postwar political arena, none now has a majority position. Following March 2007 parliamentary elections, the Center Party formed a four-party governing coalition with the Conservatives, the Swedish People's Party, and the Greens. Parliamentary elections were held in April 2011, and in June 2011 the National Coalition (Conservative) Party formed a six-party governing coalition with the Social Democratic Party, Left Alliance, Swedish People's Party, Green League, and Christian Democrats. Finland's embassy (http://www.finland.org/en/) in the United States is located at 3301 Massachusetts Avenue, NW, Washington, DC 20008; tel: 202-298-5800; fax: 202-298-6030. Finland has a highly industrialized, free-market economy with a per capita output equal to that of other western economies such as France, Germany, Sweden, or the U.K. The largest sector of the economy is services (64.9%), followed by manufacturing and refining (32.4%). Primary production is at 2.7%. The Finnish economy had made enormous strides since the severe recession of the early 1990s. Finland successfully joined the euro zone and outperformed euro-area partners in terms of economic growth and public finance. Following a period of sustained and robust growth, the Finnish economy suddenly slowed in the wake of the international financial crisis. GDP growth shrank from 0.9% in 2008 to -8.2% in 2009 (the sharpest contraction since Finland gained independence from Russia in 1917). Exports declined 32%, and unemployment climbed to 8.2%. In 2010 the Finnish economy recovered from the 2009 financial crisis better than most forecasts predicted, and showed a broad-based growth of 3.1%. The forecast for 2011 predicts an export-driven annual growth of 3.6%. GDP growth in 2012 is expected to average 2.7%. The unemployment rate for 2010 was 8.4%, and as the economy recovers forecasts predict a drop to 7.6% in 2011 and 7.2% in 2012. Inflation rose to 1.2% in 2010. Inflation is expected to accelerate to 3.3% in 2011, mainly due to rising world market prices of food, energy, and raw materials. The general government financial balance turned to deficit in 2009, bringing an end to a sustained period of surpluses. Nonetheless the deficit in 2009 and 2010 did not exceed the 3% threshold under the EU Stability and Growth Pact. Public finances are set to improve in 2011 in the wake of economic recovery, tax hikes, and the withdrawal of temporary stimulus measures. In 2011 the general government deficit is estimated at 0.9% of GDP. Exports of goods and services contribute over 38% of Finland's GDP. Metals and engineering (including electronics) and timber (including pulp and paper) are Finland's main industries. The United States is Finland's third most important trading partner outside of Europe. With a 3.4% share of imports in 2010, the United States was Finland's seventh-largest supplier. Major exports from the United States to Finland continue to be machinery, telecommunications equipment and parts, metalliferous ores, road vehicles and transport equipment, computers, peripherals and software, electronic components, chemicals, medical equipment, and some agricultural products. The primary competition for American companies comes from Russia, Germany, Sweden, and China. The main export items from Finland to the United States are electronics, machinery, ships and boats, paper and paperboard, refined petroleum products, telecommunications equipment and parts. In 2010, the United States was Finland's third-largest customer after the EU (55.0%), and Russia (9%). However, trade is only part of the totality: American companies in Finland employed 23,800 Finns, and Finnish companies in America employed 31,500 Americans in 2008. About 2.0% of the Finnish GDP comes from exports to the United States. Except for timber and several minerals, Finland depends on imported raw materials, energy, and some components for its manufactured products. Farms tend to be small, but farmers own sizable timber stands that are harvested for supplementary income in winter. The country's main agricultural products are dairy, meat, and grains. Finland's EU accession has accelerated the process of restructuring and downsizing of this sector. Finland's basic foreign policy goal from the end of the Continuation War with the U.S.S.R. in 1944 until 1991 was to avoid great-power conflicts and to build mutual confidence with the Soviet Union. Although the country was culturally, socially, and politically Western, Finns realized they must live in peace with the U.S.S.R. and take no action that might be interpreted as a security threat. The dissolution of the Soviet Union in 1991 opened up dramatic new possibilities for Finland and has resulted in the Finns actively seeking greater participation in Western political and economic structures. Finland joined the European Union in 1995. The principal architect of the post-1944 foreign policy of neutrality was J.K. Paasikivi, who was President from 1946 to 1956. Urho Kekkonen, President from 1956 until 1981, further developed this policy, stressing that Finland should be an active rather than a passive neutral. This policy is now popularly known as the "Paasikivi-Kekkonen Line." Finland and the U.S.S.R. signed a peace treaty at Paris in February 1947 limiting the size of Finland's defense forces and providing for the cession to the Soviet Union of the Petsamo area on the Arctic coast, the Karelian Isthmus in southeastern Finland, and other territory along the former eastern border. Another provision, terminated in 1956, leased the Porkkala area near Helsinki to the U.S.S.R. for use as a naval base and gave free access to this area across Finnish territory. The 1947 treaty also called for Finland to pay to the Soviet Union reparations of 300 million gold dollars (amounting to an estimated $570 million in 1952, the year the payments ended). Although an ally of the Soviet Union in World War II, the United States was not a signatory to this treaty because it had not been at war with Finland. In April 1948, Finland signed an Agreement of Friendship, Cooperation, and Mutual Assistance with the Soviet Union. Under this mutual assistance pact, Finland was obligated — with the aid of the Soviet Union, if necessary — to resist armed attacks by Germany or its allies against Finland or against the U.S.S.R. through Finland. At the same time, the agreement recognized Finland's desire to remain outside great-power conflicts. This agreement was renewed for 20 years in 1955, in 1970, and again in 1983 to the year 2003, although the subsequent dissolution of the Soviet Union led to the agreement's abrogation. The Finns responded cautiously in 1990-91 to the decline of Soviet power and the U.S.S.R.'s subsequent dissolution. They unilaterally abrogated restrictions imposed by the 1947 and 1948 treaties, joined in voicing Nordic concern over the coup against Soviet leader Mikhail Gorbachev, and gave increasing unofficial encouragement to Baltic independence. At the same time, by replacing the Soviet-Finnish mutual assistance pact with treaties on general cooperation and trade, Finns put themselves on an equal footing while retaining a friendly bilateral relationship. Finland now is boosting cross-border commercial ties and touting its potential as a commercial gateway to Russia. It has reassured Russia that it will not raise claims for Finnish territory seized by the U.S.S.R. and continues to reaffirm the importance of good bilateral relations. Finnish foreign policy emphasizes its participation in multilateral organizations. Finland joined the United Nations in 1955 and the EU in 1995. As noted, the country also is a member of the North Atlantic Treaty Organization's (NATO) Partnership for Peace as well as a member in the Euro-Atlantic Partnership Council. As a NATO partner, Finland had 178 military troops and 39 civil crisis management experts in Afghanistan as of November 2010, serving with a Swedish-led Provincial Reconstruction Team in the province of Mazar-e-Sharif and working to create a secure environment for reconstruction in northern Afghanistan. Finland is well represented in the UN civil service in proportion to its population and belongs to several of its specialized and related agencies. Finnish troops have participated in UN peacekeeping activities since 1956, and the Finns continue to be one of the largest per capita contributors of peacekeepers in the world. Finland is an active participant in the Organization for Security and Cooperation in Europe (OSCE) and in early 1995 assumed the co-chairmanship of the OSCE's Minsk Group on the Nagorno-Karabakh conflict. Finland chaired the OSCE in 2008 and was part of the Chairmanship Troika in 2009. Cooperation with the other Scandinavian countries also is important to Finland, and it has been a member of the Nordic Council since 1955. Under the council's auspices, the Nordic countries have created a common labor market and have abolished immigration controls among themselves. The council also serves to coordinate social and cultural policies of the participating countries and has promoted increased cooperation in many fields. In addition to the organizations already mentioned, Finland became a member of the following organizations: Bank for International Settlements, 1930; International Monetary Fund, 1948; International Bank for Reconstruction and Development, 1948; General Agreement on Tariffs and Trade (GATT), 1950; International Finance Corporation, 1956; International Development Association, 1960; European Free Trade Association, 1961; Asian Development Bank, 1966; Organization for Economic Cooperation and Development, 1969; Inter-American Development Bank, 1977; African Development Bank, 1982; Multilateral Investment Guarantee Agency, 1988; the Council of Europe, 1989; European Bank for Reconstruction and Development in Central and Eastern Europe, 1991; World Trade Organization, 1995; and INTELSAT, 1999. 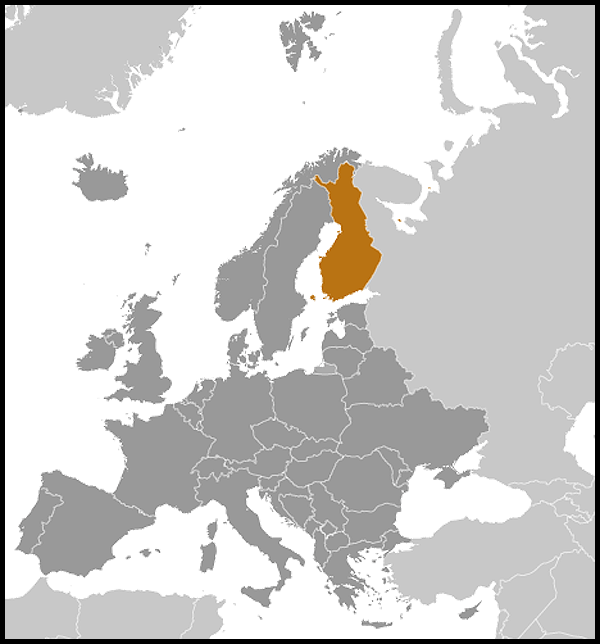 Finland entered Stage Three of EMU (the European Monetary Union) in 1999. All the Nordic countries, including Finland, joined the Schengen area in March 2001. Relations between the United States and Finland are warm. Some 200,000 U.S. citizens visit Finland annually, and about 5,000 U.S. citizens are resident there. The United States has an educational exchange program in Finland which is comparatively large for a west European country of Finland's size. It is financed in part from a trust fund established in 1976 from Finland's final repayment of a U.S. loan made in the aftermath of World War I.
Finland is bordered on the east by Russia and, as one of the former Soviet Union's neighbors, has been of particular interest and importance to the United States both during the Cold War and in its aftermath. Before the U.S.S.R. dissolved in 1991, longstanding U.S. policy was to support Finnish neutrality while maintaining and reinforcing Finland's historic, cultural, and economic ties with the West. The United States has welcomed Finland's increased participation since 1991 in Western economic and political structures. Following the dissolution of the Soviet Union, Finland has moved steadily toward integration into Western institutions. In 1994, Finland joined NATO's Partnership for Peace; the country also is an observer in the North Atlantic Cooperation Council. Finland became a full member of the EU in January 1995, at the same time acquiring observer status in the Western European Union. Finland welcomes foreign investment. Areas of particular interest for U.S. investors are specialized high-tech companies and investments that take advantage of Finland's position as a gateway to Russia and the Baltic countries. The U.S. Embassy (http://finland.usembassy.gov/) in Finland is located at Itainen Puistotie 14, Helsinki 00140; tel: 358-9-616-250; fax: 358-9-174-681.